Happy Earth Day! I did a fun, easy & cheap DIY project today that I can't wait to share! 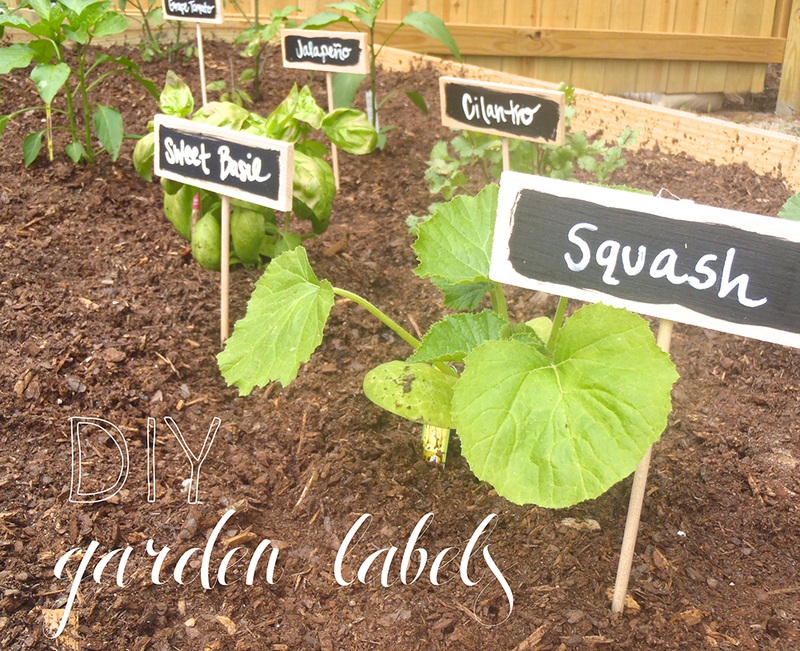 Andrew and I built our first garden recently and I have been needing garden labels. Why not DIY it? My sister reminded me that it was Earth Day, so it is extra fitting! 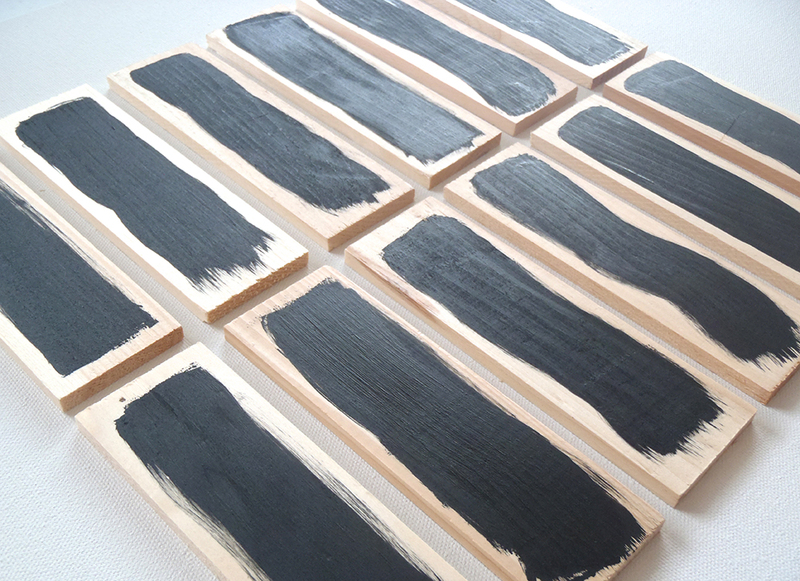 Using your sponge brush, simply swipe the black paint across the wooden plank! Each piece is unique so don't worry about perfection! 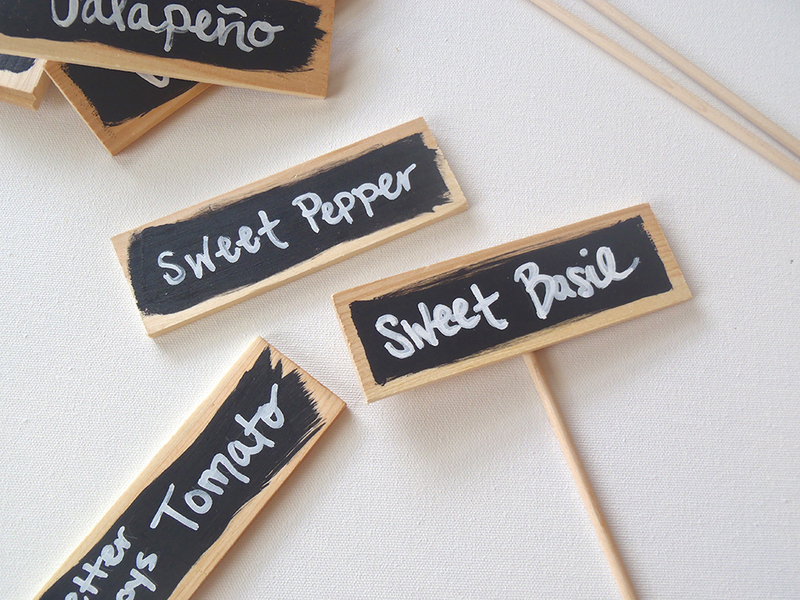 Then, using your chalk marker (or paint, chalk, etc) write what plant it is that you wish to label. 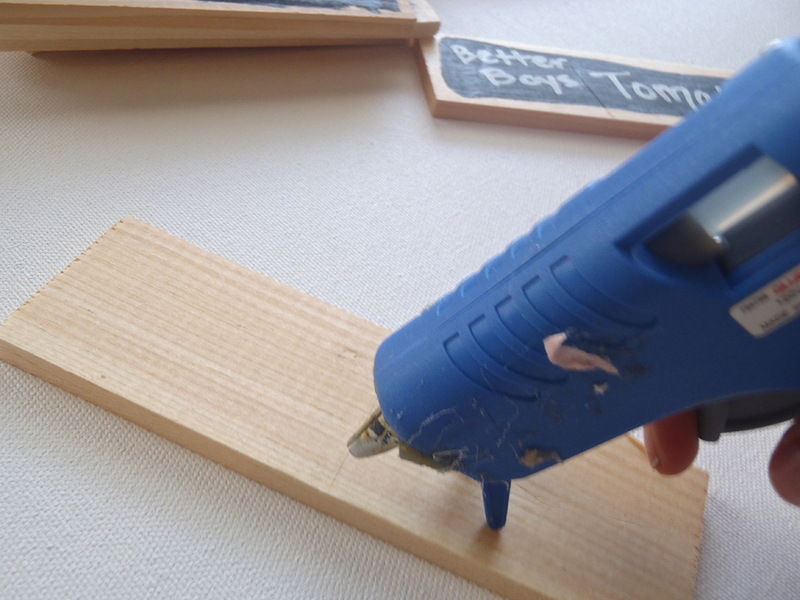 Use your hot glue gun to pump a good amount of glue onto each wooden plank. Then press a wooden stick down the center of the plank and add pressure for about a minute or until dry. HOW easy is that? 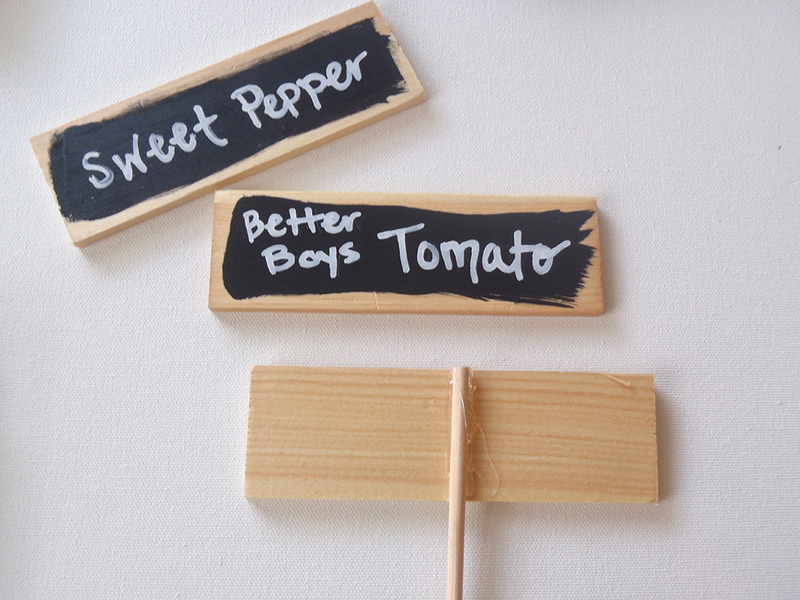 You could stain your wood or add colored outdoor paint too!